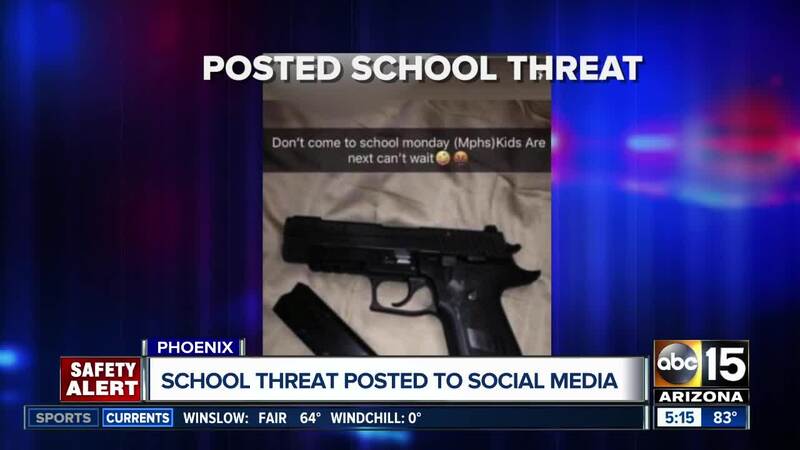 Officials are looking into a social media threat targeting Mountain Pointe High School. 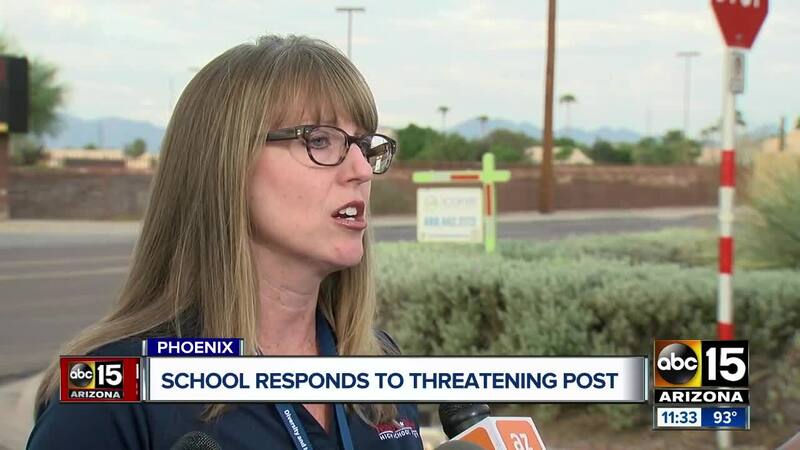 ABC15 received multiple messages from concerned Valley residents showing a screenshot of a post with a weapon, threatening violence toward students at the Ahwatukee-area school on Monday. Late last night, we were made aware of a threat to Mountain Pointe High School that was circulating on social media. We have been in contact with Phoenix Police throughout the day who are investigating the matter. They have informed us they have developed strong investigative leads and are actively following up on them. School will be open on Tuesday, Sept. 25. Students must wear their Mountain Pointe ID badge. Increased police presence will be on campus.